Two buses were involved in a crash while transporting students from Ramsay High School on their way to a semifinal basketball game in Jacksonville. Police on the scene have reported that the collision occurred when the two vehicles, as well as another passenger vehicle, had crashed on McClellan Boulevard near Baltzell Gate Road in Anniston. 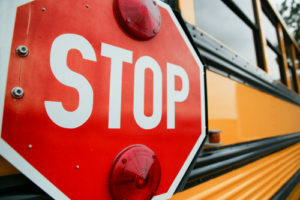 Birmingham City School officials have stated that none of the students had suffered any “visible serious injuries” in the accident, however, they did note that one of the drivers of the bus as well as six of the students involved were taken to Anniston Regional Medical Center. While none of the injuries are assumed to be major they were taken to be evaluated after complaints of suffering from pain after the event. The school system has also said that they did have representatives at the site of the incident. School buses from the Calhoun County School System were able to then transport the remaining students who were not suffering from any injuries despite these events to Jacksonville, and that they were still able to compete in the semifinal game which they ended up winning 58-53. Those same Calhoun County School buses that picked them up at the scene where it all transpired were able to bring the students back to Birmingham once the game was over without any other incidents taking place. According to the Birmingham City School officials, another passenger vehicle was also injured during the crash but as of now the severity and details of their injuries are not known at this time. A spokesperson for the school had explained that in addition to a further investigation of the incident that there would be nurses available at Ramsay High School to monitor the young students when they were available to come back to school. If you or a loved one have been in a car accident and sustained an injury you may have the right to receive compensation. The personal injury attorneys at Liddon Law in Birmingham are ready and prepared to represent you and help get the compensation and justice you deserve. Contact Liddon Law today to set up a free initial consultation and begin discussing your case. With each passing year comes new, more up-to-date technology. Cellphones and laptops are usually the things we see constantly changing but they aren’t the only ones. Motor vehicles continuously receive updates in technology each year, with a lot of the focus being on driver and passenger safety. The United States Department of Transportation’s National Highway Traffic Safety Administration (NHTSA) recently reported that 37,461 lives were lost on the roads in 2016, which is a 5.6 percent increase from the previous year. With the number of vehicle miles traveled (VMT) on U.S. roads also increasing, the fatality rate sits at 1.18 deaths per 100 million VMT, which translates to an increase of 2.6 percent from the previous year. It is scary seeing those numbers consistently increasing each year, especially since they are fatalities. Injuries from car accidents also continue to rise each year and the NHTSA contributes these accidents to factors such as distracted driving, speeding, alcohol impairment, drowsy driving, etc. 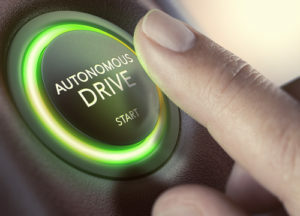 As stated earlier, the constant improvements in technology are lending a helping hand in keeping drivers and passengers safe while on the road — something to continue looking forward to. Many different car manufacturers are creating and building their vehicles with things like automatic braking and adaptive headlights. Automatic breaking is a great feature that uses sensors to monitor a car’s surroundings and gently applies the brakes in the event that the car is close to coming in contact with any stationary object. Adaptive headlights use sensors to adjust a vehicle’s headlights to curves in the road. They are in tune with the steering wheel and will turn along with you, the driver. They also adjust themselves based on the speed of the vehicle and will even lower when coming up on opposing traffic or for a turn. Adaptive headlights are offered as a standard or optional feature in many vehicles like BMW, Buick, Jeep, Lexus, Mazda, Volvo, etc. In addition to the aforementioned technologies, car manufacturers are working to make cellphone use while driving a thing of the past. Dashboard systems that sync seamlessly with your cell phone via an app can make it so navigation, communication, and music can be controlled with your voice or quick taps — keeping your eyes on the road instead of elsewhere. 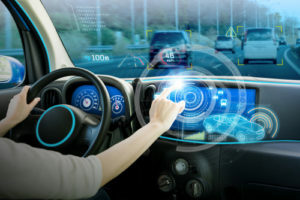 It is comforting to know that technology is aimed at safer roads and safer vehicles, with the ultimate goal of eliminating accidents altogether. Unfortunately, accidents are still occurring, leading to injuries or even death. If you have been in a car accident and sustained an injury you may have the right to compensation. The personal injury attorneys at Liddon Law in Birmingham are ready and prepared to represent you and help get the compensation and justice you deserve.